The daylilies will be at peak bloom throughout this period. 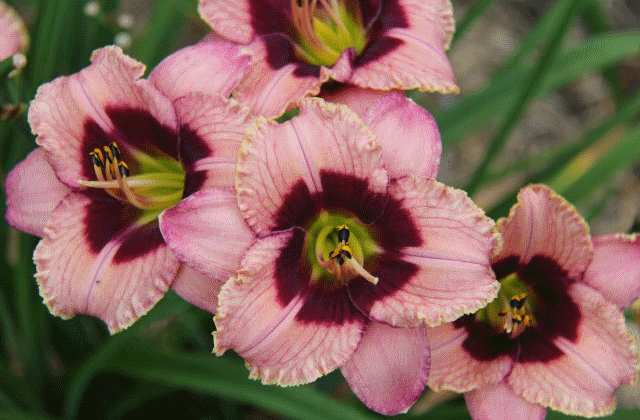 We have many varieties of daylilies that are in limited quantity. These are choice plants that will never make it into our on-line catalogue. Limited numbers of these plants are available during Bloomfest. This year we are contining to down size the field so we have a good selection of Bloomfest Bonus plants that are sold as extra large divisions of 10-12 fans for the regular price $8-16. Since these daylilies are in bloom you can select them based on the colours you want. If you would like to cover a hillside or plant a cottage garden these plants will be perfect. We also have daylilies that are already potted and well established. Many are in two gallon pots with four or five fans per pot. They are an excellent choice for instant impact in your garden. 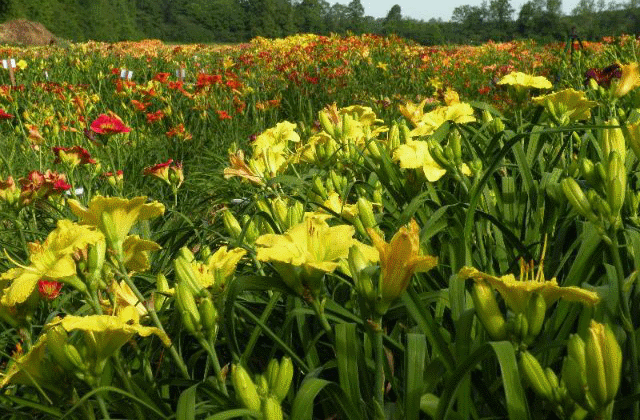 Many people complain that a description of a daylily is not enough to help them choose exactly the right pink or determine whether one daylily will match another one they already have. Because daylilies are so easy to transplant you can see a plant that you like and go home with a freshly dug division that day. Orders can also be placed for late summer pick-up. During late July many other perennials are at peak bloom. We offer great companion perennials, conifers and shrubs to compliment the daylily selections. Come and be amazed at the rainbow of colours and bring your camera.